This entry was posted in Activism, Feminism and tagged feminism, feminist children, feminist parenting, raising a feminist child. Bookmark the permalink. Raising a feminist child isn’t difficult. It means committing to instilling a sense of awareness in a child that all women are people. Raising feminist children means empowering our children with a sense of justice. Too often feminism is misunderstood and slotted into a stereotype, often nullifying or ignoring the efforts and struggles of many women and men. People tend to think that feminism isn’t needed, that men and women enjoy the same access to resources, education and human rights. Sadly, one need only look at current politics, wage-gap figures, and the abuses against women in countries all over the world to realize that feminism still has work to do. Looking at our media and social interactions, women are still bandied about as stereotypes, and their bodies are still sexualized in everything from film to video games. Although this year marks 50 years of us reading Friedan’s Feminist Mystique, the world is hardly “woman friendly.” Hence the need to offer our children the skills and sensitivities to continue pointing out and mending the areas where women are victims, puppets or anything less than equal. I take the expression that “the personal is political” into my parenting, and mindfully consider how my role as a parent impacts my son and his world view about women. Here is a list of practices, activities and actions that might help you in raising a feminist child! Your child absorbs the way you treat yourself and uses this as a map for how she/he will treat others. This is especially important if you have a little girl. Our daughters need to see us loving, caring for, and empowering ourselves – so that they will treat themselves with the same love and respect. 2. Fill your bookshelves with children’s books that offer a feminist world view. Books are a part of how our kids understand the world. 3. When you are pregnant, consider thoughts on feminist birthing. Are you empowering yourself? Do you have the support that will ensure your voice, choices and desires are heard throughout your birthing? 4. Acknowledge the parenting power of fathers. Feel empowered to share your parenting and break the biological determinism that says: women parent and men work. 5. If you have privilege (cis, white, heteronormative, educated, male, Anglo) make sure you are ‘unpacking’ it often and authentically with your children. 6. Don’t judge other women. Whether child-free or other mothers. We all have our own story and our kids need to know that every woman is worthwhile. 7. Practice Gentle Parenting. bell hooks talks about conventional parenting being a part of the patriarchy, where parents control their children by fear, intimidation and physical measures. By releasing yourself and your children from that paradigm, you are celebrating the essence of feminism. 8. Empower your kids to use their voices and to speak out against injustice. 9. Take your kids with you when you attend protests and other moments of activism (if it is a safe situation). Whether it’s a nurse-in or a LGTB-parade, even our youngest can be a part of these powerful acts. 10. Honor your child’s body. Practice body autonomy whenever possible. 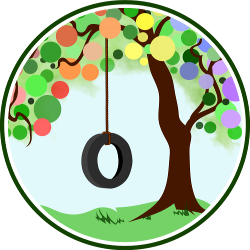 By nurturing this behavior in our children we can help ensure that they will carry this with them as they get older and grant the same autonomy to others. 11. Help your child develop a healthy body language. Help them develop a sense of body pride and comfort. 12. Consider their media. I’m all for media and technology being used responsibly in our children’s lives, but we need to be in constant dialogue with them about what they are seeing and providing them with the tools to dissect the stereotypes that are insidious in the majority of mainstream media. 13. 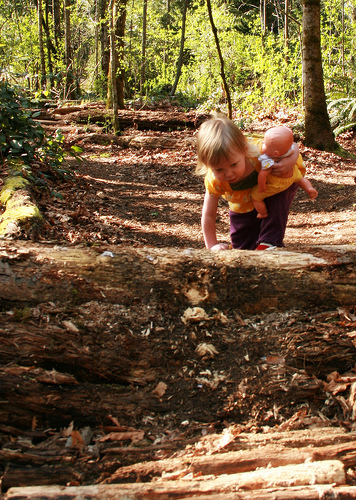 Let your child lead the way when it comes to their gender. So much of what limits women (and men) is embedded in socially constructed ideas about gender and what one is or isn’t permitted to do within said gender. 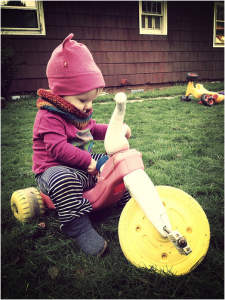 Let you child experience their gender with as much fluidity or structure as they wish. 14. Think about gender stereotypes when selecting toys, clothes and books. Celebrate mothering. It is one of the many things women do, but it is often trampled or passed over by society. Allow yourself to acknowledge that you can be a feminist and a mother. Embrace the work you do as a mama. Speak positively about women who mother and work outside the home, stay at home mamas. Our kids need to hear that mothering can happen in many ways and be celebrated in its many forms. 16. Talk about achievements of women. Our kids need to hear beyond the lists of great male writers, scientists, athletes, inventors, politicians. Fill your life with examples of great women. 17. Incorporate Feminism into your play. 18. When you are parenting within stereotypes, try to expose, dissect and talk about the binaries and why they aren’t realistic. 19. Support mothers around breastfeeding – whether it is their right to breastfeed, or their right to formula feed. Do what you can to ensure that ALL women have access to the proper information about breastfeeding. 20. Be more than their mother. Let them see you be all of the wonderful elements that make you who you are. Knit, read, be with friends, write books, attend lectures, run for political office, collect stamps -whatever it is that makes you special, LIVE IT. Just nitpicking? Probably. But my husband is just as invested as raising a feminist child as I am, and this article seems mostly directed towards women. Perhaps reread the article? I am very inclusive in regards to male parents as in honouring them and their role can we break down the gender binaries that oppress many women. But as a mother, I write as a woman. 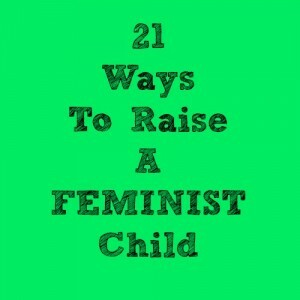 Perhaps a better title would have been 21 ways for moms to raise a feminist child? You talk about honouring fathers, but the article is addressed to mothers. I think it’s awesome, don’t get me wrong, this is just article #7 in the past few days that I have wanted to show my husband about parenting that I realized wasn’t directed towards him. Thanks for this, Lyndsay. I didn’t realize I was a feminist until after I became a mother and much of the above highlights behaviors that just do not come naturally for me, no matter how much I believe they’re important. I learn so much from all you write with regard to feminism and feminist mothering. Much to think about here! Thank you for this article…I am always wanting support in making sure I am raising two feminist boys. this is really helpful. I’m sharing it with my husband. Another one I think is important, that I use a lot with my son, is showing small children the beauty and wonder of pregnancy and birth from infancy. My son is 2 1/2 and begs for birth and pregnant lady videos on the iPad. I love that! I want him to realize on a deep level that birthing is a wonderful aspect of the feminine genius. I confess I don’t entirely understand #19. I don’t see why supporting formula feeding is feminist. Unless you meant formula feeding as a last choice? It’s part of supporting other women without judgement. All women go through some process by which they decide how they will feed their children. As feminists, it is our responsibility to accept their process and decision with out question, just as we do with their careers, and support them as our sisters. How about instead of focusing on feminism, we simply focus on teaching equality, balance and boundaries to our children. Focusing and making a point to teach feminism is unbalanced and leans in one direction, IMHO. Why does everything have to be extreme? Teaching feminism is not “extreme.” It is doing exactly what you’re talking about, teaching that all people are equal and valuable. 100% with you on this John. (and i’m a woman, and a feminist, this article is not about feminism in my opinion). Hi! Even if i like the bottom line of this article, i wonder about a few things. It’s seems a bit like carebears world here. I think it’s of our responsability (as women and men) also to teach kids than the world can be unfair and there can be evil people, women or men. Not all Women are angels please. And also the first phrase ??? “Raising a feminist child isn’t difficult. It means committing to instilling a sense of awareness in a child that all women are people.” Really ? Like someone have any doubts about it ??? Please.